Michiganders love Michigan. We all know that already, but now we have a little bit of science to prove it. Wallethub.com did a study of the birthplaces of people in every state and Michigan has the 2nd most native born residents. 76.1% of the people living in Michigan were born in Michigan, the only state that has more native born residents is Louisiana with 78.33% of residents being born natively. 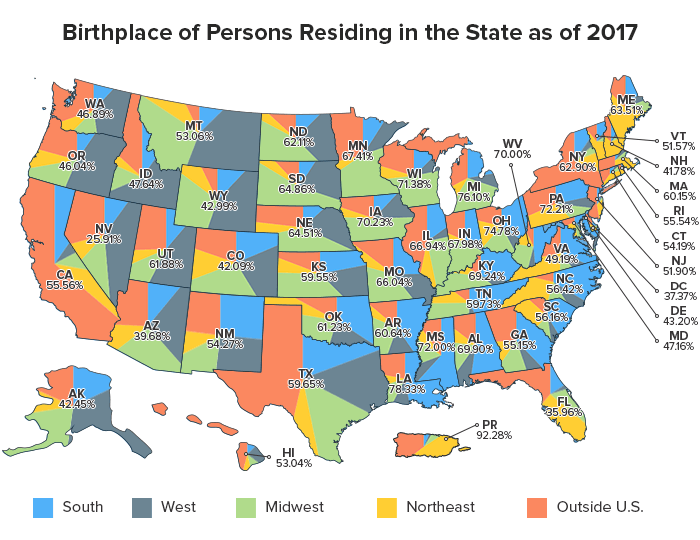 Other than Michigan born residents, we also have a decently large foreign born population with a little over 7% of Michigan residents being born abroad. This study proves that Michigan is the best state in the country. You might be thinking, but what about Louisiana? Well, even though Louisiana has more native born residents, it's only because their dating pool is limited to their extended family, which also lives in Louisiana. You can read more about the study and see the rest of the state's rankings at Wallethub.com.